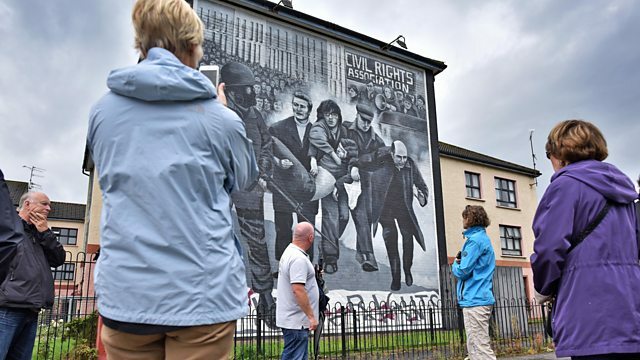 Peter Taylor explores the political, legal and moral questions arising from attempts to achieve justice over deaths and injuries that occurred during the Northern Ireland Troubles. The British Government has decided to try and draw a line under the ‘Troubles’ in Northern Ireland with a plan that includes military veterans facing possible prosecution for events that took place decades ago. These ex-soldiers see themselves as victims of a witch hunt. They demand that no prosecution could be launched once a specific number of years (probably ten) had passed after the event. Many veterans would accept this being extended to members of the IRA too. But no less important are the stories of the victims. In a number of cases, their families seek an apology from the government. Their emotions are visceral too. In a thought-provoking programme, Peter Taylor explores the political, legal and moral questions over attempts to achieve justice in Northern Ireland many years after the original events and where these may be leading.